Facebook is working on a dark mode for Messenger. The redesign of Facebook Messenger has been in the works for a very long time. After a long time waiting, Facebook has finally started rolling out a dark mode. As a hidden option in the beta version of the app. 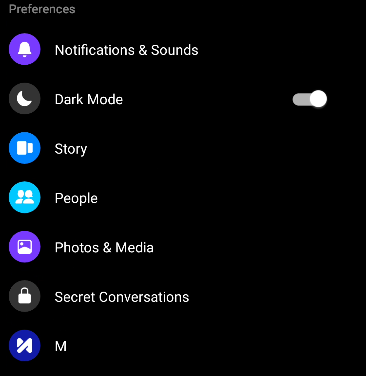 Here is the trick by which you can simply enable the dark mode in Facebook Messenger. Sadly this trick is not applicable to the iPhone. You need to install the latest version of the Facebook Messenger Beta from Play Store. Recommended Version is 187.0.0.24.100. Click Here to become the Beta Tester of FB Messenger. You’ll need to run a root command to activate dark mode, which means you’ll need a terminal emulator app. Launch the terminal app on your device, and type ‘su’ to grant it root privileges. Accept the dialogue box if you are SuperSU rooted. Next in the terminal type: am start -n “com.facebook.orca/com.facebook.abtest.gkprefs.GkSettingsListActivity” This will launch a secret menu. 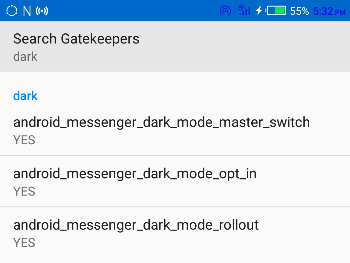 At the top under “Search Gatekeepers”, type ‘dark’. Now click each result to change them to “Yes”, as pictured in our screenshot. Close the menu, and re-launch FB Messenger. Tap on your profile picture, scroll down the settings, and toggle Dark Mode.